TOMRA Sorting has a solution for sorting seed corn. 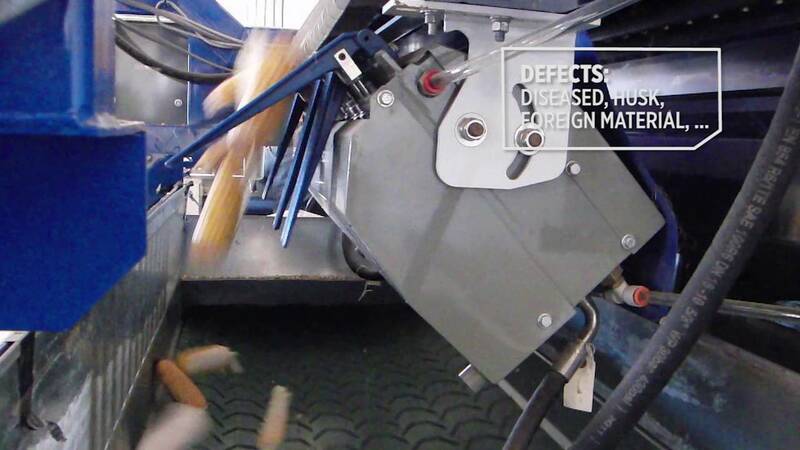 TOMRA’s machines sort by size and remove husk, defects, disease and all types of foreign material. TOMRA’s sorting solution is the ideal efficiency, quality and cost reduction tool for processors where capacity, husk and defect sorts are critical. In the organization’s quest for continual change and improvement, Lauber Seed Farms has taken a bold step towards innovation by partnering with TOMRA Sorting Food and installing a number of our automatic ZEA sorting systems. Read their testimonial. TOMRA’s seed corn sorting solutions boost throughput and availability while at the same time increasing yield, quality and food safety. The ZEA is a sensor based food sorting machine for seed corn producers to sort/grade for husk, defect, disease and size. It is the ideal efficiency, quality and cost reduction tool for processors where capacity, husk and defect sorts are critical. It is a low cost of ownership machine that is built to last.